Toronto house prices may have cooled, but rents sure haven't. Apartment buildings in the LeBreton Flats area of downtown Ottawa. The city is among many in Ontario where rental rates have soared by double digits over the past year. Ontarians struggling with rising living costs will find little encouragement in the latest rental rates report from rental site Padmapper. 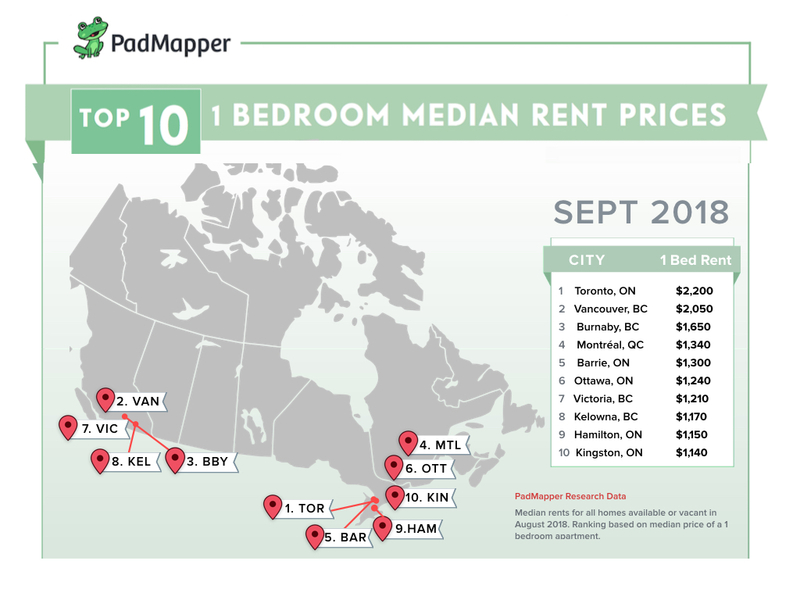 Advertised rates for apartments in Toronto have jumped by double digits over the past year, with one-bedroom apartments averaging $2,200 in Padmapper's September report, up 14 per cent in a year. 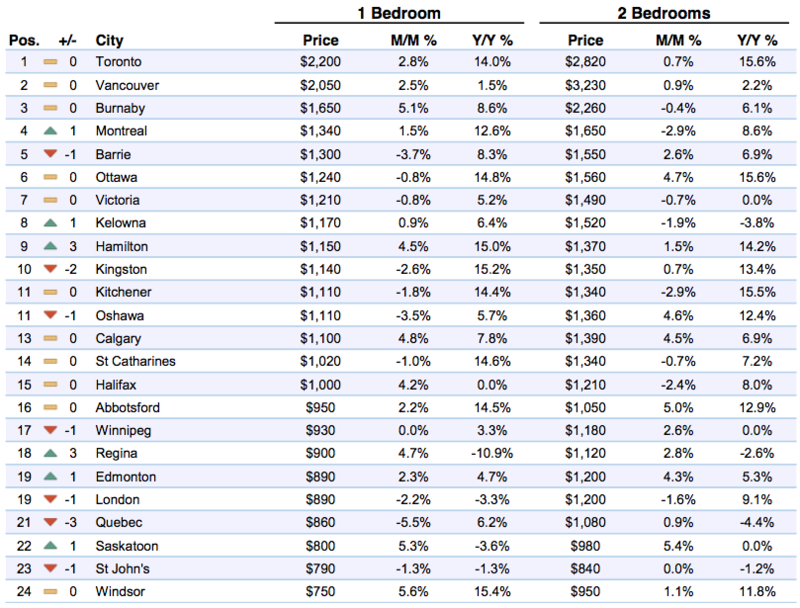 Two-bedrooms are up 15.6 per cent, to $2,820 on average. Strong rental rate inflation was also seen across many of the Ontario cities covered in the survey, with one-bedrooms rising by about 15 per cent in Ottawa, Hamilton, Kingston, Kitchener, St. Catharines and Windsor. It's a different story in Vancouver, which was the country's priciest rental market until earlier this year, when it was overtaken by Toronto. One-bedrooms in the west coast city are up a mild 1.5 per cent over the past year, to $2,050. Two-bedroom units, however, are still pricier than Toronto's, up 2.2 per cent in a year to $3,230. Market experts say the spike in rental rates in many Canadian cities has to do with increasing house prices. As homebuying becomes more expensive, many would-be buyers stay in rental units longer than they'd planned, driving up demand for rental space. A recent survey carried out by the Building Industry and Land Development Association (BILD) and the Toronto Real Estate Board (TREB) found 87 per cent of Greater Toronto residents agree the area needs to build more homes -- but far fewer support development in their own neighbourhoods. Fifty-nine per cent said they oppose the construction of a high-rise building within half a kilometre of their home. Opposition drops as the proposed construction shrinks in size, with only three in 10 opposing the construction of single-family homes in their areas.